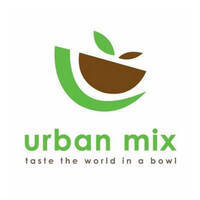 At Urban Mix by Vatos, indulge in a variety of flavours from all over the world with customisable meal bowls. With around 153,600 combinations of bases, side salads, toppings, proteins, and sauces, one can indulge in various options. Depending on one’s preferences, one can choose from jasmine rice, mashed potatoes, beehoon noodles, and more as bases for their bowls. Protein options include baked honey lemon pac dory, Korean pork belly, ribeye steak, and more. Alternatively, diners can also enjoy Urban Mix’s signature bowls such as the Gangnam Style, Texas Cowboy, Viva Mexico, and LA Crossfit.